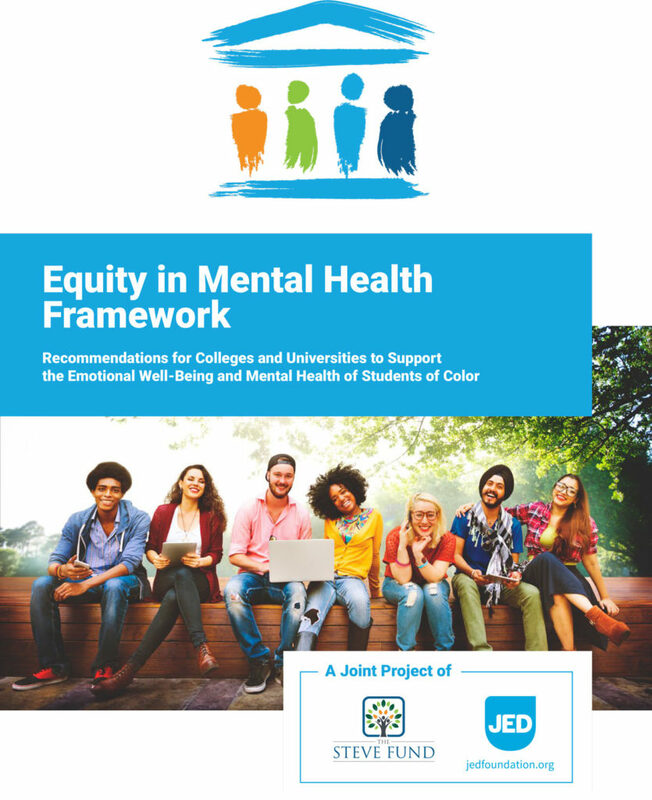 The Equity in Mental Health Framework provides colleges and universities with ten recommendations and implementation strategies to help inform and strengthen their mental health support and programs for students of color. 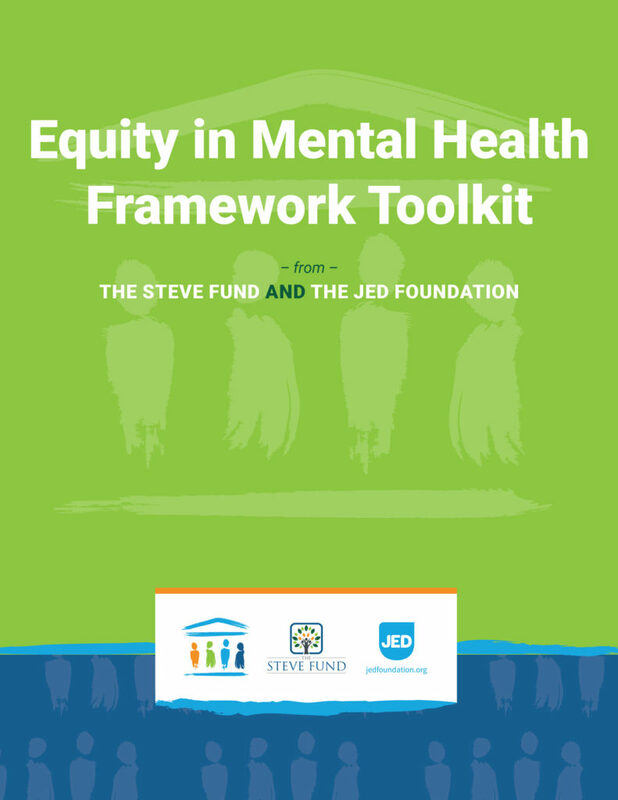 The Equity in Mental Health Toolkit offers additional support in implementing the recommendations in the Equity in Mental Health Framework, including supporting campus-based efforts to reduce shame and prejudice around mental illness, increase responsiveness, improve campus climate, and provide system wide opportunities to help all students thrive. Our goal is to better equip schools across the country to prioritize this important work. Both the Framework and Toolkit were created in partnership by The Steve Fund and The Jed Foundation (JED). JED is a nonprofit that exists to protect emotional health and prevent suicide for our nation’s teens and young adults. JED equips teens and young adults with the skills and knowledge to help themselves and each other; partners with high schools and colleges to strengthen their mental health, substance abuse and suicide prevention programs and systems; and encourages community awareness, understanding and action for young adult mental health. Learn more at jedfoundation.org. Check out our programs including: JED Campus (jedcampus.org), Set to Go (settogo.org), ULifeline (ulifeline.org), Half of Us (halfofus.com), Love is Louder (loveislouder.com) and Seize the Awkward (seizetheawkward.org).